Slip into Parker Smith's best-selling silhouette with an exposed button fly to look like a total retro bombshell. 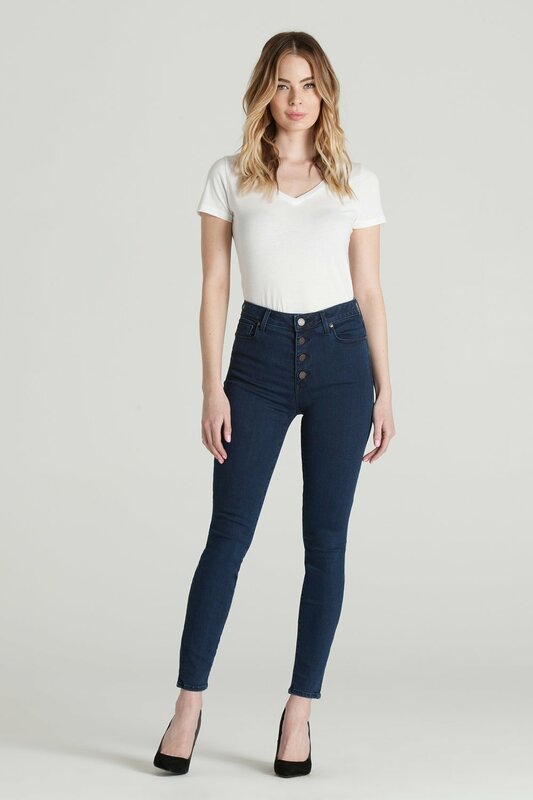 Cut from our incredible shaper stretch denim, this ultra-high rise skinny is made to hold you in for a flawless fit. Style with a relaxed tee and slides.